Citizens of Storybrooke, brace yourselves: Cora is making her return! 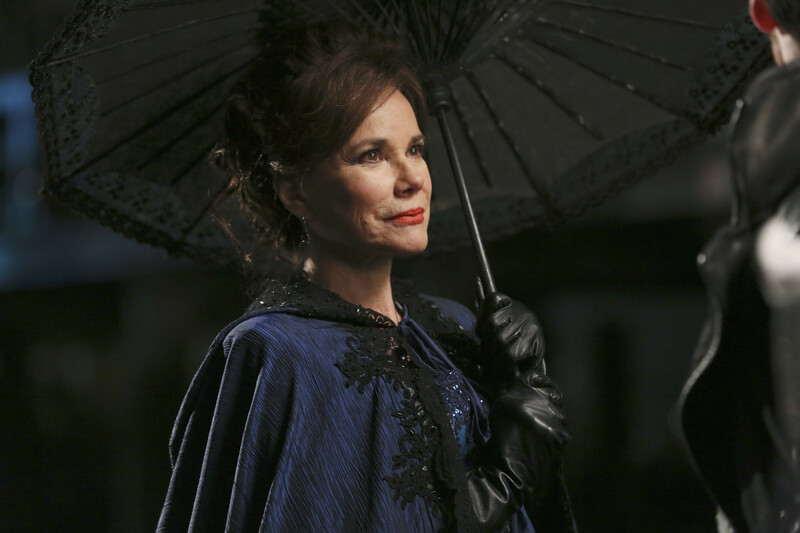 Barbara Hershey is returning to Once Upon a Time and will reprise her role as Cora for the show's 100th episode, which will air in spring 2016. Starting out with humble beginnings as the miller's daughter, Cora meets and forms a liason with Rumplestiltskin, who introduces her to magic in order to better her life. While she is best known as Regina's cruel and controlling mother, Cora is also the mother of Zelena who abandoned the future Wicked Witch of the West when she was just a baby. WATCH: Regina curses herself to stop her controlling mother Cora. From the Season 4 episode, "Mother." The last we saw of Cora, she was ultimately killed by Snow White, who tricked Regina into putting her mother's cursed heart back into her in order to save Mr. Gold. Since then, Cora has appeared in flashback moments, most recently in the Season 5 episode, "Dreamcatcher." WATCH: Regina relives the heartwrenching moment Cora killed her first love, Daniel. Tune in to Once Upon a Time SUNDAYS 8|7c on ABC.